So, if you’re like us, you’ve probably spent some time sitting around daydreaming about what your ideal AR would be. No? Just us? Well anyway, here are the AR’s we would build if money wasn’t any object, and we could get our hands on any parts. 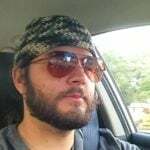 Hopefully, something in here will inspire you in your own builds. Note: We will be updating this list until we have something from all the writer’s dream setups, so be sure to check back in! The 2055 LR Enlightened Receiver Set gives you a high-quality and mighty fine looking upper and lower receiver for your AR-15. I opted to go with the set rather than selecting a different upper and lower receiver because I really like the way this product is designed. For starters, it’s made from a 2055 lithium and aluminum alloy that outperforms 7075 T6 aluminum in virtually every way – it’s lighter, more durable, and better protected against corrosion than its counterpart. It also has a combined weight of 12.2 ounces (5.8oz for the upper receiver and 6.4oz for the lower), making it nice and lightweight. When it comes to a LPK, all I’m really looking for is quality components made by a reputable company – and you can’t get more reputable than CMMG. Their AR-15 LPK comes with all of the springs, pins, and knickknacks you need to get your lower receiver up and running. The kit also comes with a pistol grip and trigger, and in my opinion, CMMG make some pretty good triggers. But since this is my dream AR-15, we’re going to save this trigger for a replacement. And I’m always a fan of having an ambi safety selector, so be sure to get this add-on. ELF has a good reputation for making quality competition triggers. Regardless of what you plan on using your AR-15 for, this trigger system will give you a smooth, jerk-free pull every time. ELF triggers minimize overtravel and trigger reset, which is great for anyone who’s looking to squeeze off a few rounds rapidly. But what I really like about this trigger system is the added safety that it provides. The trigger system’s special design prevents it from being discharged on impact, turning your AR-15 into a drop-safe gun. When it comes to carbon fiber barrels, there are two things that you need to know: they perform brilliantly and they’re ridiculously expensive. But carbon fiber barrels are worth every penny to those who can afford spending so much on a barrel. They give you top precision and accuracy like their stainless steel counterparts, but are way more durable. And when it comes to carbon fiber barrels, Christensen Arms knows a thing or two –they did develop the first carbon fiber rifle barrel, after all. This barrel comes with an aluminum .936 gas block and is available in a variety of lengths and calibers, including the .204 Ruger and the 6.5 Grendel. But for this AR-15, I prefer to stick to the basics and go with 5.56 NATO at 16”. It’s not the fanciest handguard out there, but it’s easy to install and does everything you need it to. It’s also incredibly lightweight, weighing only 8.8oz. Titanium BCGs aren’t cheap by any stretch of the imagination, but they’re great for when you’re looking for strength, durability, and something significantly lighter than steel. This BCG comes highly recommended thanks to its top-notch craftsmanship and promises smoother cycling and less recoil than some of the other BGCs on the market. 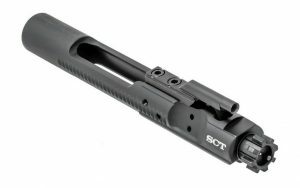 Plus, another great thing about this product and other titanium BCGs is that you don’t have to restrict yourself to adjustable gas systems, like you would with an aluminum BCG. Still, this little component does cost a pretty penny. I like this charging handle because it’s ambidextrous and ergonomically designed. More than just an aluminum rod, this charging handle has a perfectly angled grip that makes it easy to grab ahold up, regardless of whether you’re working with your right or left hand. Plus it’s gentler on the fingers than some of the cheaper handles out there. When it comes to optics, you get what you pay for. Despite its unforgiving sticker price, the Aimpoint Patrol Rifle Optic is a solid accessory to any AR-15. It’s water resistant, has a long battery life, and can handle extreme temperatures – that already places it a notch above EOTech’s holographic sights in my book (still, I think they’re also good). Plus, the optic works clearly in both day and night and is compatible with night vision devices and Aimpoint’s 3X magnifier. Personally, I believe that it’s always a good idea to have a good set of BUIS in case your optic breaks or malfunctions. I don’t really see the purpose of spending a lot of money on BUIS. My only requirement is that they’re durable, which Ade Advanced’s offsets just happen to be. As you can see, there’s not anything flashy or exceptional about my piece. Some AR-15s are built to go, others are built for show – and I prefer mine to be ready to go the distance! With a ~$2600 price tag, it’s probably one of the more expensive range guns that I’d own. But I do think that it’d be a great gun to spend a lot of time shooting. Not only would it be fun to spend the weekends shooting, it should be able to withstand heavy use with minimal issues. We’ll start with the upper receiver. The upper really tells you what the gun is really going to be. My AR is starting with a Critical Capabilities AR-15 9mm upper. This gun is outfitted with a short 5.5-inch barrel. You see my gun is going to be a super small and easy to carry AR-15 pistol, chambered in 9mm. The Critical Capabilities upper receiver is a flat top upper and comes with a 4-inch M-Lok rail. The upper is already built and ready to go, all you need is a charging handle and a bolt carrier group. Of course, the upper is in 9mm and can’t exactly be called “Mil Spec,’’ but it shares several Mil Spec features. This includes being a forged 7075-T6 upper, a type 3 anodization, and a chrome moly nitride treated barrel. It’s simple, lightweight, small, and perfect for CQB. For the lower I’d go with the always fantastic JP Enterprises GMR-15 9mm lower. It takes Glock 9mm magazines and is a billet lower. It looks fantastic and the billeted cuts will match well with the M-Lok rail system on the upper. If you don’t look cool what’s the point? JP Enterprises makes great gear and this lower is a great option for a 9mm build. So we have to attach something to the rear of the lower right? You can go SBR, but keeping it a pistol is much easier. A brace keeps the gun a pistol but makes it a little easier to stabilize. There are lots of braces out there, but the SIG Sauer SBX is perfect for this build. It’s lighter and smaller than the original SB 15 brace, and is a bit better suited for my plan to with the brace and buffer tube. It’s not the cheapest brace, but it’s one of the best. Not much to say here. Just a simple, completely smooth tube. It’s a pistol buffer tube and needs to be smooth to accommodate the SBX brace. Again the buffer needs to be simple. Sometimes s standard AR buffer will work, but I want perfection. So, we are going with an Angstadt Arms LLC 9mm buffer with the appropriate spring. With this in the gun you’re guaranteed to get bang after bang out of your gun. Now buffer tubes and buffers may not excite you, but the LAW Tactical folding stock adapter should. This attaches between your gun and buffer tube and gives your AR-15 a folding stock. You can’t shoot with the stock folded, but this makes it easy to store and even conceal the gun in a bag or box. The Dolos Kit is a takedown system for the AR rifle. It installs between your upper receiver and barrel instantly turns your gun into a takedown design. 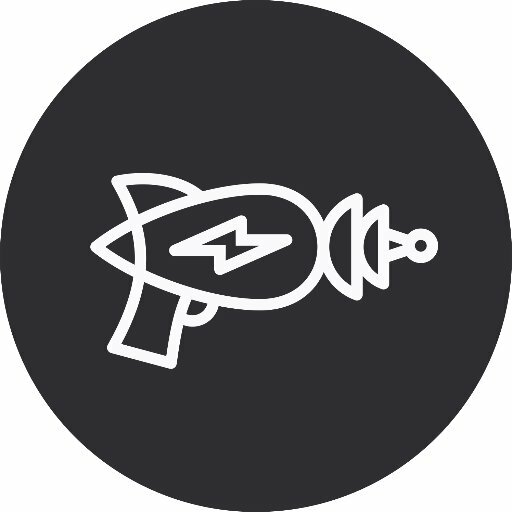 You can remove or install the barrel and rail system in about 3 seconds. The Dolos Kit is super simple to use, and really easy to install. Because the 9mm AR is blow back, you don’t need a traditional gas system. This makes the Dolos install even simpler. This system will work with the Critical Capabilities included MLOK rail, and works with almost any standard rail system. We used the JP Enterprises lower and now we are going to toss in the JP Enterprises 9mm BCG. The BCG is even compatible with JP’s super silent capture spring. It’s important you watch the BCG to the magazine pattern. The JP Enterprises BCG will function with both Colt and Glock magazines. Since we are doing Dream AR-15s I’m going with the Geissele Automatics Airborne Charging Handle. This thing costs nearly a hundred bucks, but man, it’s sweet. It is massive, easy to grip and rip, and looks great while you’re doing it. It’s super comfortable in the handle and you can access it overhand and underhand. The bad thing about pistol caliber ARs is that using decked out match triggers is possible, but they can have some issues. Mil Spec triggers are the go to for reliable function with an AR-15 in 9mm. That’s the reason you don’t see a super high-end trigger on my dream AR. I want reliability to be the key with this build. Since we are rocking a Critical Capabilities upper receiver we’ll use a Critical Capabilities LPK. This isn’t the fanciest of grips, but it is one of my all-time favorites. Having the right grip angle on your guns means a lot when it comes to handling your gun. The right angle can help with maneuverability, reduce fatigue, and shoot a little straighter. For shorter ARs like my dream build, I want a steeper grip. The Magpul MIAD offers that steeper grip, as well as adjustable backstraps and a storage compartment. Since it’s my dream build, I want the best miniature red dot on the market, the Trijicon RMR. This particular model is the dual powered design. It uses both batteries and light to power it. No matter what, when I pull my gun out of the bag or box, it’s ready to rock and roll. The Trijicon RMR is a tough optic. I used one on my M240 in the Marines and it never let me down. It’s small, reliable, and perfect for dream build. If you have an optic, but no iron sights you are doing it wrong. With budget not being a concern, we are going with the XS Sight Systems AR-15 sights. This collaboration between XS and Troy has given 24/7 sights. This glowing night sights are perfect for both quick and precise shooting. The rear aperture has three options, including a wide open sight for reflex shooting, a small circle and a large circle for precise shooting. That’s it! We hope you enjoyed this look into the often crazy way our brains work and what kind of AR’s we’d build if we had the freedom to just go nuts with it. Which of these AR’s did you like the best? Are there any parts here that might make their way into your build? Let us know in the comments below! aero m4e1 upper and lower. forged strength, billet look, tension screw, no roll pin assembly. 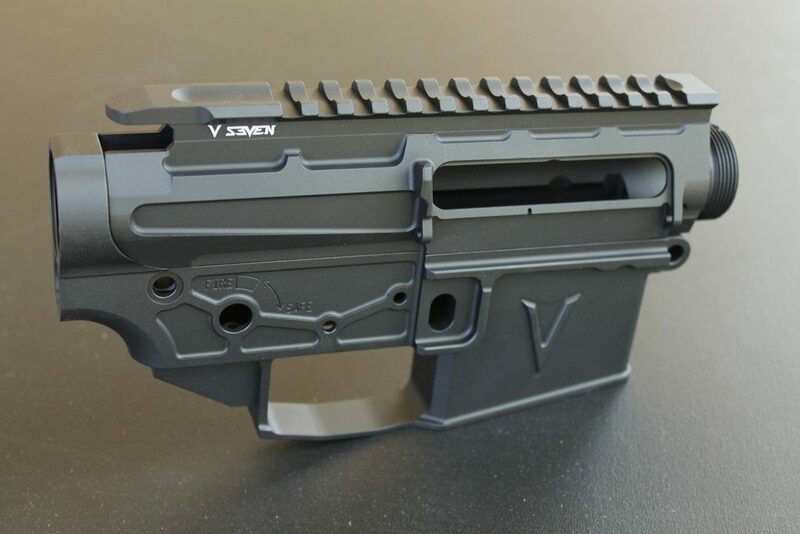 v7 lower parts- although this isnt a lightweight build.. save oz where ya can, plus its just great parts! that’s what im building right now. That’s a nice build, Chad! We actually have an article on best bipods if you want to take a look. Other than that, this looks like a really solid build, let us know how it runs! a fun article! im having a hard time picturing an rmr on a m240. was that standalone, or placed on top of an acog? I like Brandon’s, but I’d get CMMG LPK w/o grip or trigger components. I’d go BCM grip and BCM’s KMR handguard. I have the 10″ KMR, I personally like the feel of the contour. His upper and lower choice is sweet though. Carbon fiber barrel!?! I WISH!!! The Brandon looks nice, but I thought Eric was an M4E1 Atlas S1 Aero Precision guy? I’m looking to put together a .300 BLK and will check out these parts in greater detail. As always thanks for posting great articles. I do love Aero for being the best bang-for-the-buck complete solution for most. But for unlimited budget builds, I really like Brandon’s too. Let us know how your 300 BLK turns out!